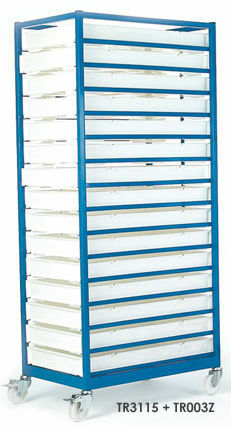 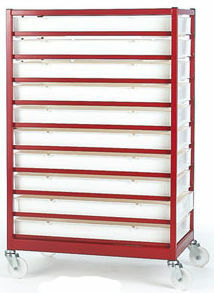 All welded steel angle tray racks, designed for safe and efficient transportation of goods. 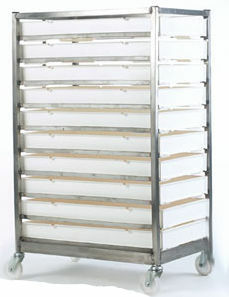 Mobile tray racks/trolleys complete with trays are the ultimate storage and transportation solution for bakeries, restaurants, confectionaries, supermarkets and a wide range of other industries. 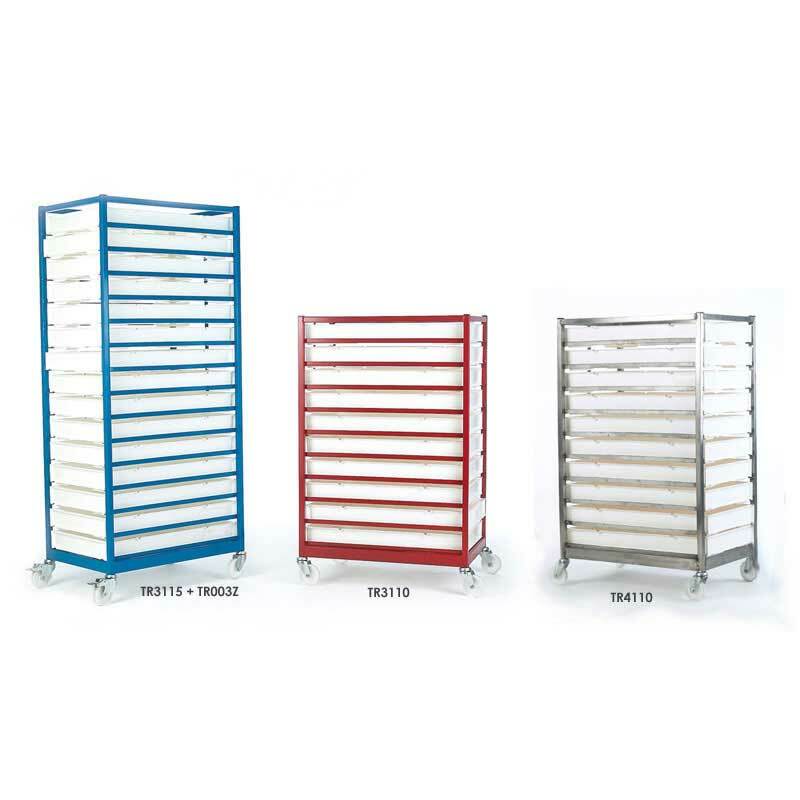 The trolleys, designed for the efficient transport of a variety of goods, feature food grade white polypropylene trays and can be used to transport a diverse selection of items in or out of coolers and freezer units or around commercial kitchens. 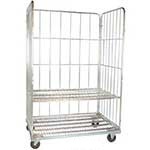 The rugged stainless steel construction ensures stability and the nylon castors make the trolleys simple to manoeuver in and around tight spaces. 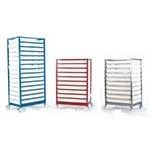 Pairs of braked castors, which are factory fitted to ensure a snug fit, are an optional accessory. 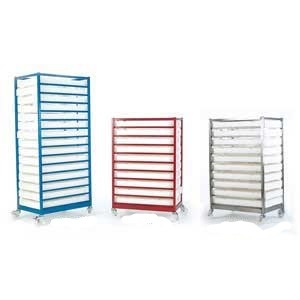 The trolleys are designed to be used in conjunction with demountable jumbo roll containers to create a complete storage and transport system.